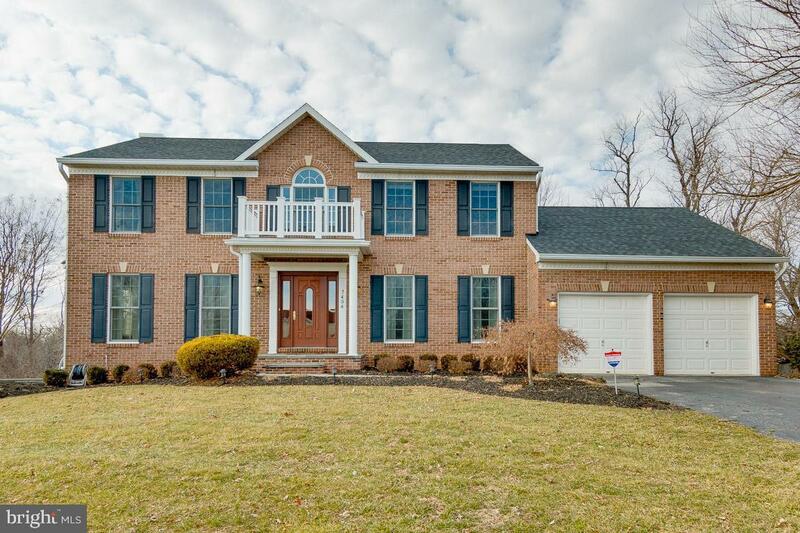 Move right into this versatile Highland colonial! No HOA on 1 acre! Original owners - pride of ownership shows throughout. 4500+ total sqft. Large eat-in kitchen updated in 2015 w/SS appliances & granite. 3.25-inch hardwoods (and, yes, they truly are gleaming!) abound on main level and MBR. Two bonus areas off back of house: large sunroom and office. Both areas heated/cooled and if you run a home business, the office has its own private entrance making it perfect for client meetings Ex-large deck connects sunroom with office. And hey, bring the inlaws! Use the back office as a private main level guest room, or if privacy is what you need, set up in the fully finished lower level with a full kitchen and walkout-level access. Use area under sun room as 5th bedroom or gym, but there's also an additional guest room/den/office on LL with a closet and storage. A large carpeted rec area rounds out LL and there's a full bath and lots of unfinished space for extra storage. Flat yard that backs to tree line. Did I mention NO HOA!? Updates: MBA shower brand new. New roof in 2015 w/ex-wide gutters! Hot Water Heater in 2017. Walk-in California closets in MBR,~kitchen pantry, coat closet. 2-car garage freshly painted and garage floor just redone with anti-slip epoxy. Back-up generator installed in 2012. Propane fireplace (2 owned tanks). Fresh paint in much of home. Brand-new carpet in upstairs bedrooms and LL. Main-level laundry, too! Quick settlement is possible. Midway btwn Baltimore and DC -- and minutes from APL.